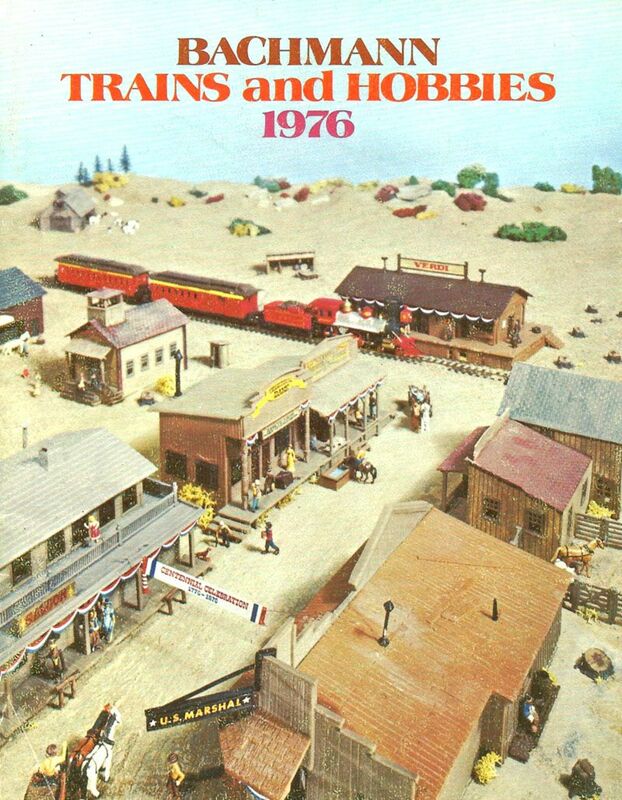 Bachmann's 1976 catalog features two Old West themed train sets. The Great Iron Horse Train Robbery (No. 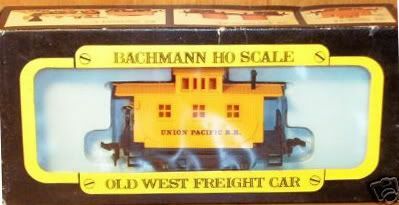 1870) featured Old West passenger cars; while The Old West Overland Freight (Union Pacific No. 1860 and Central Pacific No. 1861) featured a collection of Old West rolling stock. 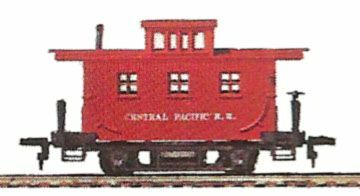 The Old West rolling stock selections: gondola, boxcar, flatcar, water car, and caboose, also appear as separately available items in the 1976 catalog. 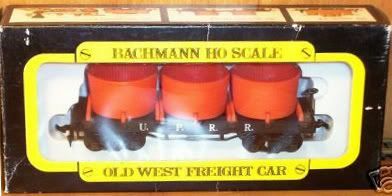 The Old West freight cars debut with a suggested retail price of $4 each in 1976.